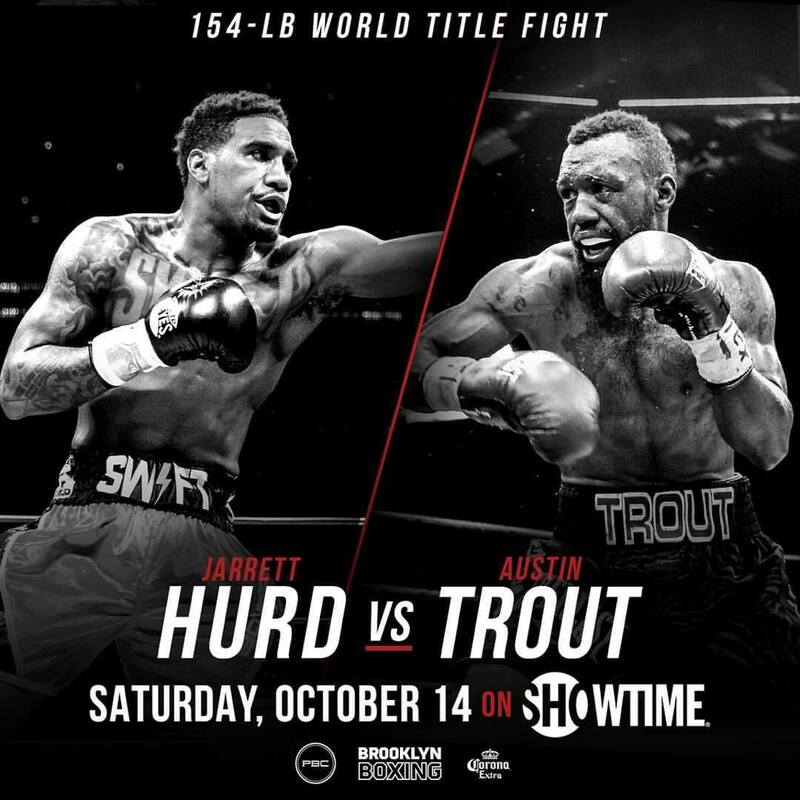 Jarrett Hurd defends his IBF 154-lb title against Austin Trout on October 14 at the Barclays Center in Brooklyn. Earlier today, Premier Boxing Champions announced via a press release that Las Cruces, New Mexico boxer Austin Trout will officially be For the last two months, Trout, 31, and Hurd (26) have had at least three scheduled fight dates moved as promotional details, such as the securing of a venue, were finalized. The bout will end the longest layoff for Trout (30-3, 17KOs) in his career of 16 months. For Hurd, 26, this will be the first time he defends the IBF Light Middleweight title since claiming it against Tony Harrison this past February.